Put the peas, onion, carrot, ham hock or bacon bones into a large pot & add water. Bring to a boil, then reduce heat to a simmer & simmer for about 2 hours, stirring every now and then. 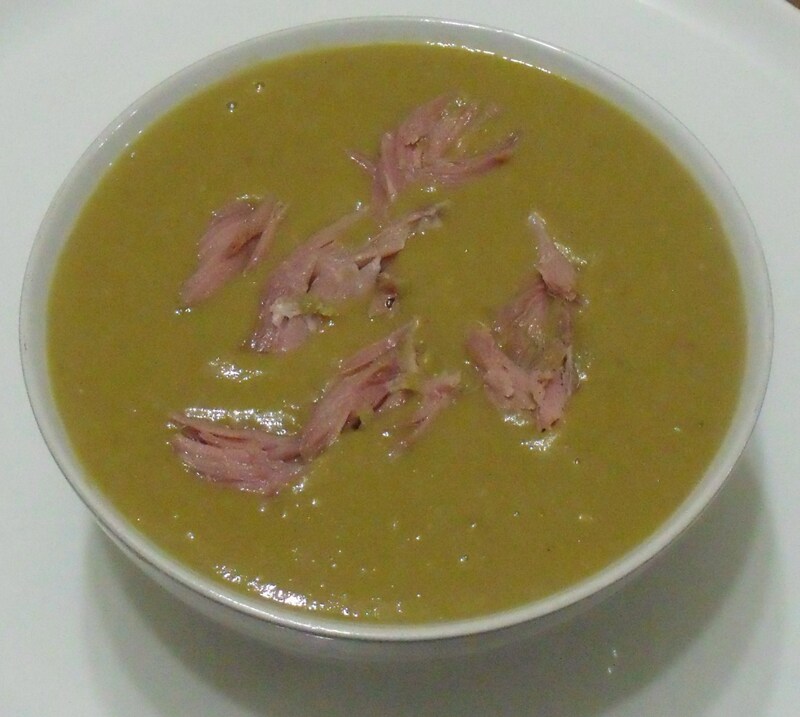 Remove the ham hock from the soup then remove the skin & discard, shred the meat set aside. Using a stick blender, blitz the soup until smooth. Taste for seasoning & adjust to taste, I find the ham hocks salty enough so I don’t add any salt. Ladle into bowls & top with the shredded ham. Drizzle with a little cream if you like. Note: You can buy the smoked ham hocks & bacon bones from your deli. This soup can be frozen for about a month in airtight containers. This soup thickens alot when cooled, I always add a little water to it when re heating.